Engineering IT is very happy to announce that it is now offering software applications such as MatLab and Pro/Engineer online in our Virtual Computer Lab (VCL). Visit www.eit.umd.edu/vcl/. To run the applications from the VCL, you will need to: Download and install the Citrix client for your platform, (see instructions at the above URL). 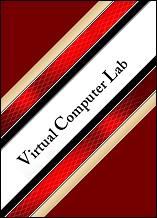 For support with the VCL, please email vcl-support@umd.edu.